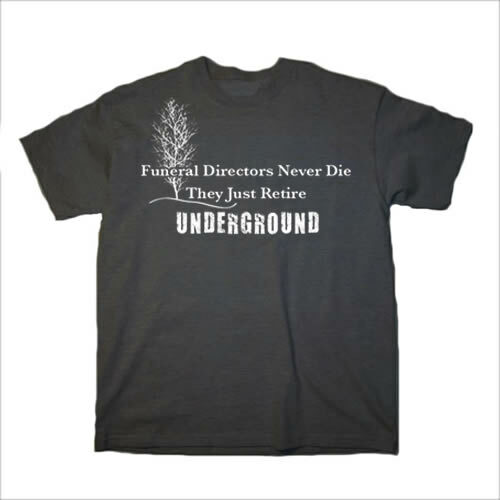 Funeral Directors Never Die. They Just Retire Underground. This shirt is sure to get some laughs among your colleagues! Shirt is a charcoal gray short-sleeve. 50/50. Available in M-2XL.